NEPTUNE in astrology represents the longing to become One with everything in a state of total trust and love. Wherever NEPTUNE is found in your chart you will not be able to see things clearly, from a realistic/materialistic point of view. It’s like you are wearing rose-colored glasses and see the ideal potential of what could be, rather than the nitty-gritty reality of the current situation. These are also areas in which you can experience bliss and a feeling of Oneness with life. While Neptune is idealistic, it can also engender areas of self- deception that can prevent us from seeing the possibility of creating the true ideal. Because Neptune spends 14 years in each Sign, its Sign influence is generational – your peers will be sharing the same idealistic imprint that you do. 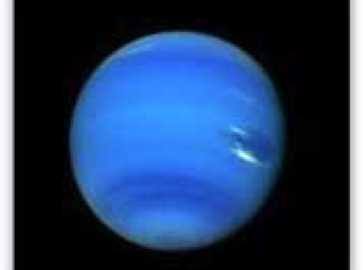 The Sign your Neptune is in shows the domain in which you instinctively seek the ideal. If your Neptune is in the Sign of Libra, you seek a perfect partner and idealistic harmony in your relationships. With Neptune in Sagittarius, you seek your ideal of freedom in life situations. The HOUSE where your Neptune is located is where you will meet most of your individual challenges and rewards on a personal level. It will show you the area of life in which you are most likely to be wearing ‘rose colored glasses’. You seek your vision of ‘the ideal’ and tend to put matters pertaining to this house on a pedestal. For example, if your Neptune is located in the 7th House, you will fantasize that your partner will become ‘the ideal’ you seek until one day, when your blinders fall away, you realize who the person really is. The challenge is to work within the context of ‘what is’ and deal with the other person on a more realistic, practical level. Then there is the potential for the ideal to be realized as the true inherent strength of the relationship is revealed. For example, rather than hoping your partner will change to be less cheap with you, you may need to have an honest conversation about how you want the relationship to be in terms of finances for you to continue investing energy into it. daydreaming, bliss, hypnosis, surrender, compassion, idealism, sensitivity, meditation, bliss, Divine Love, mysticism, awareness of subtle energies, unconditional love, gentleness, prophetic visions, psychic abilities, and Oneness. illusion/ delusion, fog, confusion, trust issues, escapism (drugs, alcohol, excessive sleeping, addictions), fantasy, confusion, deception, disappointment, and dissolution. The CHALLENGE of NEPTUNE is to not allow your yearning for the ideal to detract you from the experience of what is really happening in the moment. Be sure you are seeing the reality of the way things are in the situation, and then work on a practical level to create the ideal you seek. The GOAL of NEPTUNE is enlightenment – the opening of your heart to the experience of ongoing, uninterrupted pleasure and bliss through recognizing that “ALL of this is me”. The on-going recognition of Oneness with all. NEPTUNE’S POWER AND INFLUENCE in your life can be enhanced with the stones Moonstone, Clear Quartz, Aquamarine, and Mica.